The Tree of life is a mother's lament, a most poignant story about grieving the loss of two teenage sons, one is car crash in 2009 and the other two years later to suicide. Written as a therapy to overcome a mother's loss, pain and grief but more importantly to break the silence ... read full description below. The Tree of life is a mother's lament, a most poignant story about grieving the loss of two teenage sons, one is car crash in 2009 and the other two years later to suicide. 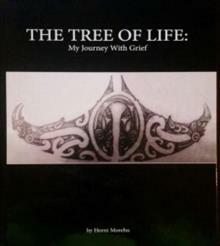 Written as a therapy to overcome a mother's loss, pain and grief but more importantly to break the silence around suicide amongst parents, whanau and community. It open dialogue, insights and help for other in preventing suicide and with dealing with their loss. A most moving book, charged with emotions, pain, loss and grief yet providing other with helpful hints, insights and help to prevent and overcome such grief.